Do not adjust your set: this is not a Mazda MX-5 but the new Fiat 124 Spider, revealed in full at the 2015 LA show. Except of course it is an MX-5, really. The new roadster’s the fruit of a joint partnership between Fiat and Mazda, and is the car that for some time was rumoured to be badged as an Alfa Romeo Spider. 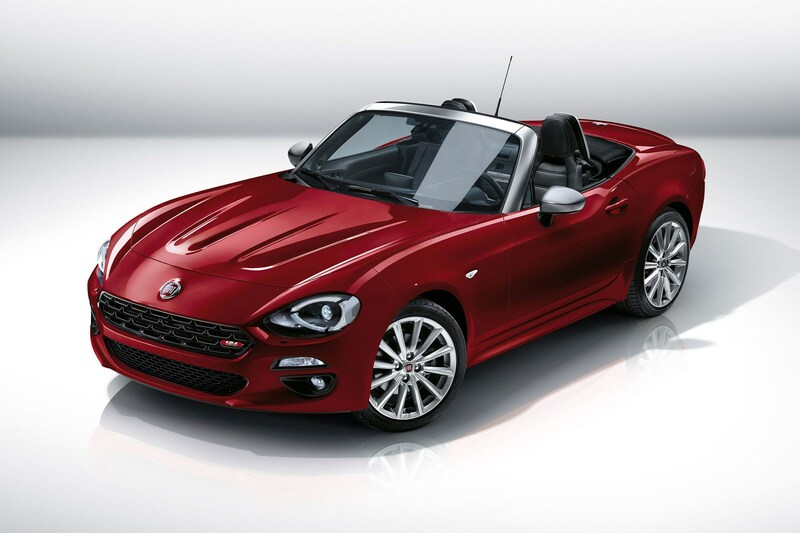 Instead it resurrects the name (and the looks) of Fiat’s own 124 sports car, originally launched nearly 50 years ago. It’s an unashamedly retro design, forcing a few of the original 124’s styling cues (hexagon grille, round headlights, twin power bulges in the bonnet) to fit over the Mk4 MX-5’s hardpoints. There’s a more pronounced curve over the car’s hips compared with the MX-5, and a squared-off tail treatment to frame the rectangular tail-lights. Front and rear overhangs are a little longer than the Mazda's, but it’s still a teeny thing by the standards of most modern cars. Retro styling apart, what makes the Fiat 124 different from the MX-5? Unlike the MX-5, it’s turbocharged. There’s one engine available from launch: Fiat’s 1.4-litre ‘MultiAir’ turbo engine with 138bhp (US versions get a bit more power) and 177lb ft, coupled to a six-speed manual gearbox. How fast? Performance figures are still tbc, but the Fiat musters more torque than the entry-level 1.5-litre MX-5, which gets from 0-62mph in 8.8sec. A hotted-up Abarth version is virtually a dead-cert for production in the near future. Cover the Fiat badge on the steering wheel and you’re looking at an MX-5 cockpit. We shouldn’t be surprised; the 124 will be built in the same Hiroshima plant as the MX-5, after all. Top trims get the same App-enabled, clickwheel-controlled multimedia system as the Mazda (presumably with a Fiat logo on startup instead). Adaptive headlamps, a reversing camera, sat-nav and voice recognition all make an appearance on the equipment list, with which bits are standard and which optional in the UK still to be confirmed. So, for that matter, are prices. They’ll be confirmed closer to the 124 Spider’s on-sale date in the UK in the second half of 2016. And another affordable roadster in the world can only be A Good Thing. Read CAR's review of the 2015 Mazda MX-5 here.